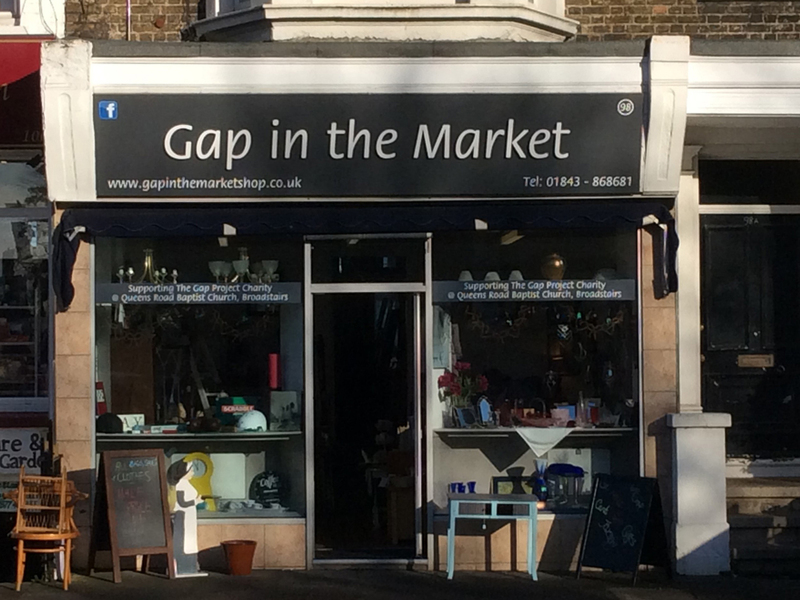 'Gap in the Market' shop was set up by The Gap Project Charity. It is a social enterprise, with the aim of gifting all profits back to the charity to help sustain and develop its work. The shop is operated by the Gap Project Trading Company Limited, which received financial support from Santander and the Kent Community Foundation. The Gap Project is a Thanet local community charity, set up in 2001, responding to local needs by providing support groups and activities, and individual support, using the facilities of Queens Road Baptist Church, Broadstairs. There is also a Gap Café, which provides a central hub for the project and volunteers. Our aims are about addressing social issues, deprivation and hardship including loneliness and isolation, poverty and lack of opportunity, living with a disability or health condition, family breakdown, homelessness, addiction and multiple disadvantage. The project is inclusive and engages with all ages and backgrounds. Click on the link to access the Gap Project Charity website for more information. For additional information on the areas we cover and the range of services we provide please contact us or call us on 01843 868681.